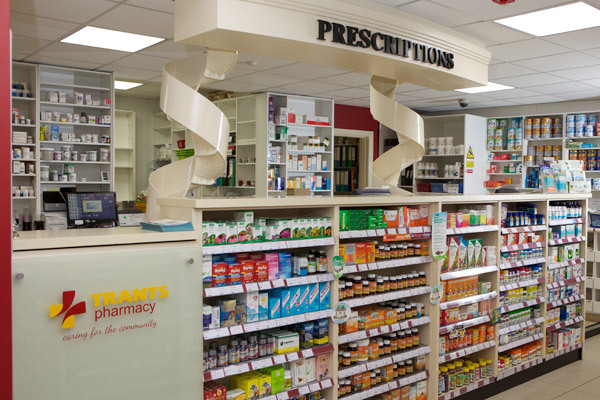 Trants Pharmacy is an independent and progressive pharmacy serving the town of Listowel since 2002 . At Trants Pharmacy we provide a first class, comprehensive pharmacy service. Our focus is to provide you with an exemplary health care service and an efficient and courteous customer service. We strive to offer you a flexible and convenient one stop shop that ensures you and your family the best advice, along with a wide range of services, products and weekly special offers. if you just want to let us know you are happy or unhappy with our service. At Trants Pharmacy, experience customer care at its best! Did you know that at Trants Pharmacy we usually have 2 Pharmacists on duty. The Pharmacists on duty can assist you with any medication queries you may have.